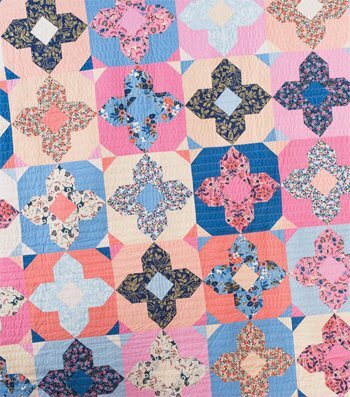 Geo Gems Quilt Pattern in 3 Sizes takes gemstones to the next level. Fat Quarter Friendly! Crib 45" x 45", Throw 60" x 75" Queen 90" x 105"